Quick overview A debut novel about adolescence and first love, English nature and the profound changes affecting the rural landscape. With no job and no prospects, young country-boy Lewis Pike is casually seduced by a married woman. When she ends the relationship, his fragile world disintegrates. 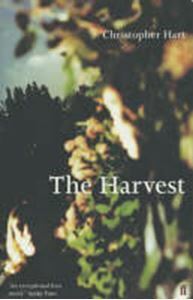 A novel about adolescence and first love, about English nature and the profound changes affecting our rural landscape, The Harvest is a contemporary and unsentimental elegy for an entire class and way of life that is disappearing as surely as the English elm.